I don’t know who said this first, but I second it! 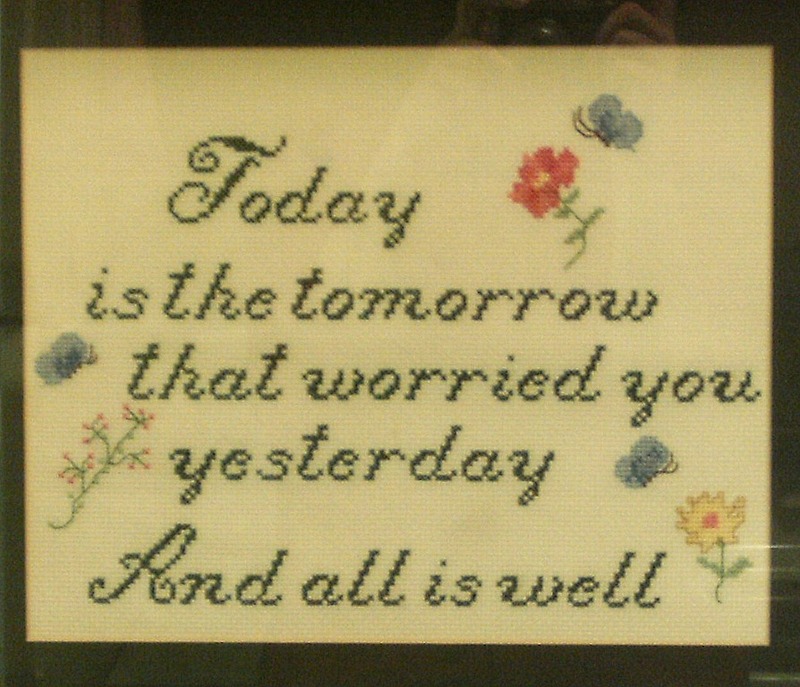 This cross stitch, that I did years ago, hangs by my kitchen sink. I see it first thing every morning. Today, I think…it is a good thing to remember every day.